Hickam Federal Credit Union Stops by Before the Holidays! 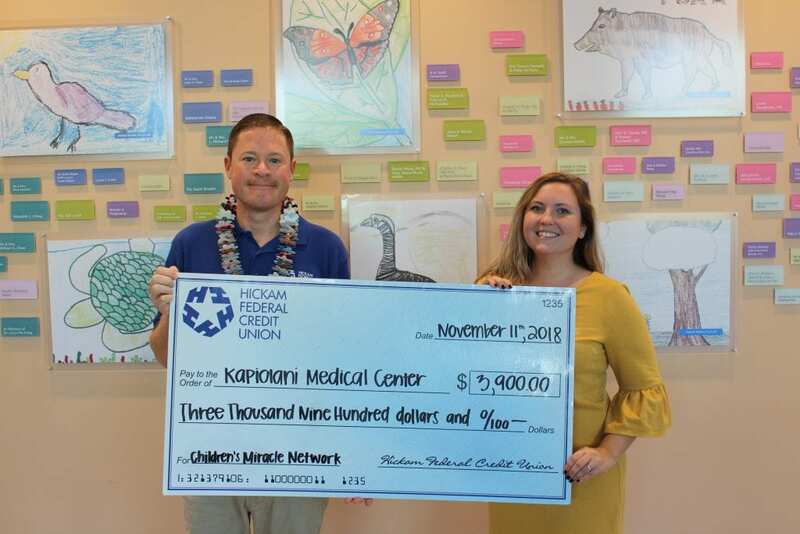 Hickam Federal Credit Union stopped by Kapi`olani Medical Center to kick off the holiday season with a donation of $3,900.00! Mahalo to Hickam Federal Credit Union and thier staff and members for you fundraising! HFCU have raised over $75,000.00 for the Kapiolani Children’s Miracle Network and have been a partner for over 17 years! Previous post: Welcome to the ohana @nordstromhawaii!